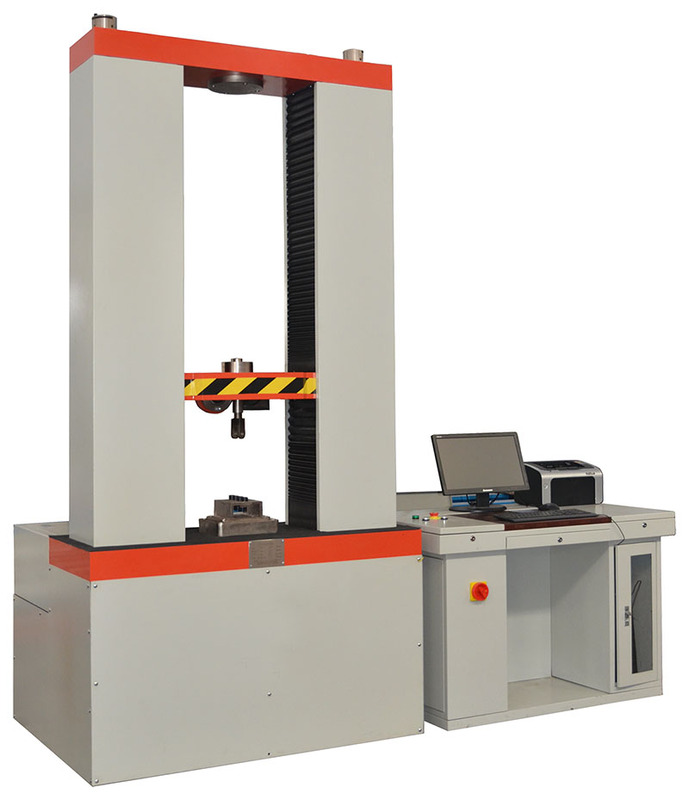 This testing machine is for mechanical tension test and cantilever test of electrical insulators, most of which are below 36kV. It has a wide application range,available for pin type composite insulator, tension composite insulator, suspension composite insulator, ceramic pin type insulator, ceramic disc insulator, glass disc insulator. As per requested in technical standard of high voltage electrical insulators like IEC, ANSI, DIN and BS, mechanical tension load test shall be applied on tension insulator and suspension insulators (disc insulator is also used as suspension/tension insulator), while for pin type insulator cantilever breaking load test is an essential test and significant index to inspect quality. This machine is multi-functional. 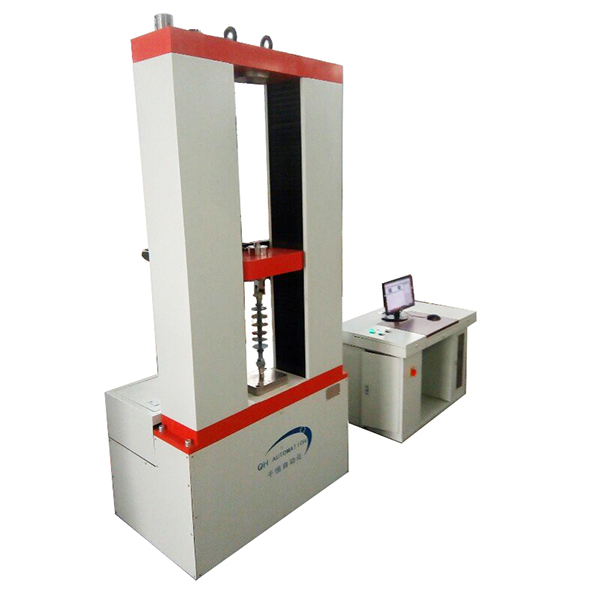 It provides tensile load test function and cantilever (bending) test function. In vertical direction, users are able to mount insulator specimen and do tensile test, as shown in figure. 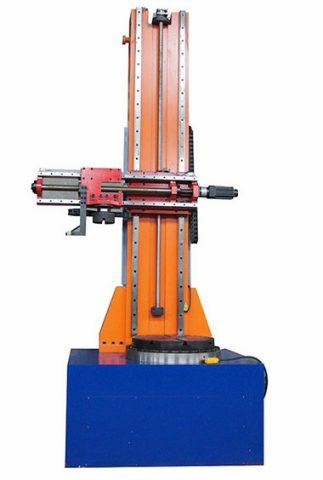 To perform cantilever test, pin type insulator shall be installed and fixed on testing platform with its metal pin and a moving beam will go in horizontal direction to test its cantilever load. User can define the testing process whether it’s a withstand test or breaking test. 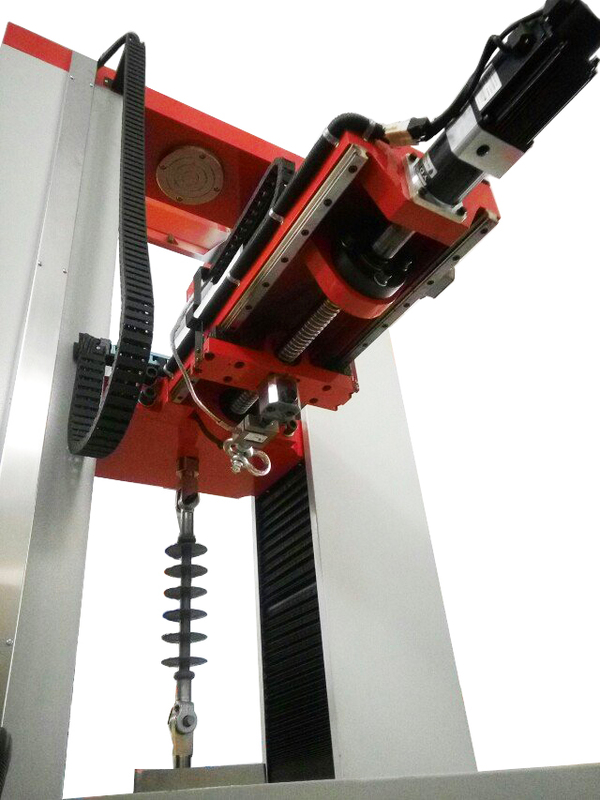 By using servo-control method, it has advantage of high efficiency, fast and accurate in performing tests. 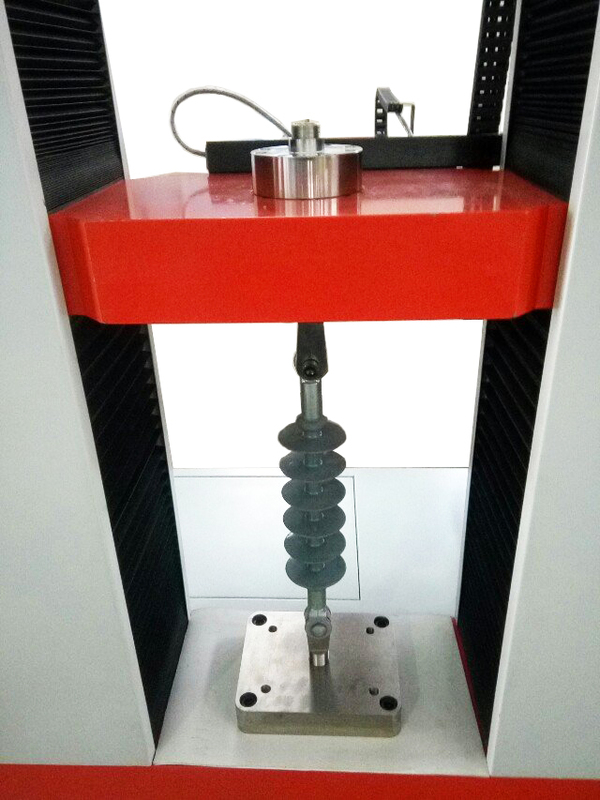 And its specific design allows user to mount insulator specimen easily and fast, with 2 sets of free substitute fittings of ball & socket / tongue and clevis for different mechanical load and dimension of insulators. Computer control allows user to customize their own test process of different mechanical load, withstand time, and result of which can be displayed, printed, very convenient to use. Click “Order Enquiry” lable above to contact manufacture Contune International Co.,Ltd to know more about this tester.